Growing emphasis on the food safety and longer shelf life has played an important role in the development of ingredients that aid in food preservation. These ingredients vary from simple water content to salt or sugar to chemicals like antioxidants and are used to prevent growth of microorganisms, thereby delaying the spoilage process. In terms of origin, food safety and shelf life extension ingredients can be synthetic or natural in nature. The European Court of Auditors (ECA) announced publication of the report 'Chemical hazards in our food: EU food safety policy protects us but face challenges’ on 15 January 2019. The conclusion of the report focuses on updating current EU legal framework and implementing and enforcing new issues that compromise consumer protection from chemical hazard in food. Manufacturers in the food safety and shelf life extension ingredient market are introducing ingredients specific to refrigerated products. Along with providing safety, these ingredients are label friendly and help in reducing sodium content while enhancing consumers’ sensory experience. 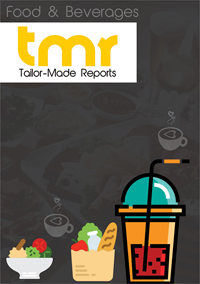 North America presents lucrative opportunities for the Shelf Life Extension Ingredients Market on the back of buoyancy in region’s the food and beverage industry and presence of leading F&B companies.